Clip clop – Master Writer – Although there are mistakes, Clip clop's writing is gripping. She has used vocabulary that was brainstormed and written in her notebook. 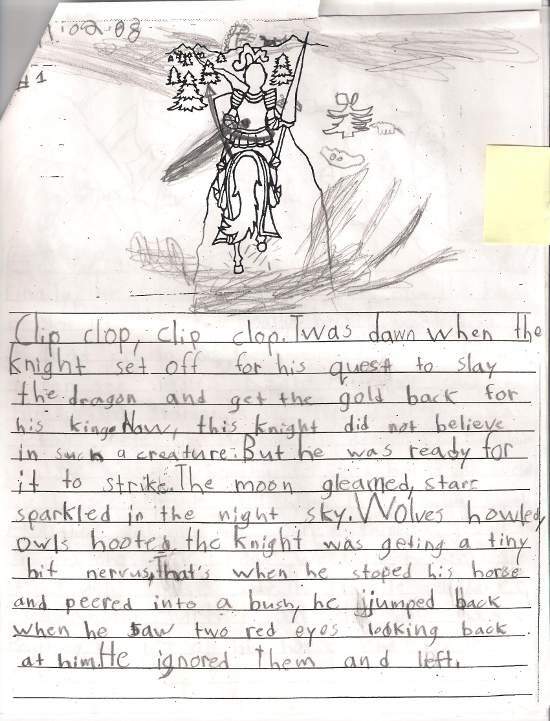 Excellent examples of Sentence Openers are, onomatopoeia; “Clip clop, clip clop.”, Time; “Twas dawn”, and nouns; “Wolves”. I'm scared and eager to read on. Well done, Clip clop!